The German forum had identified the sinister Arms as those of Lt Col Alexander Kennedy Clark Kennedy CB (from my Kennedy Armorial). 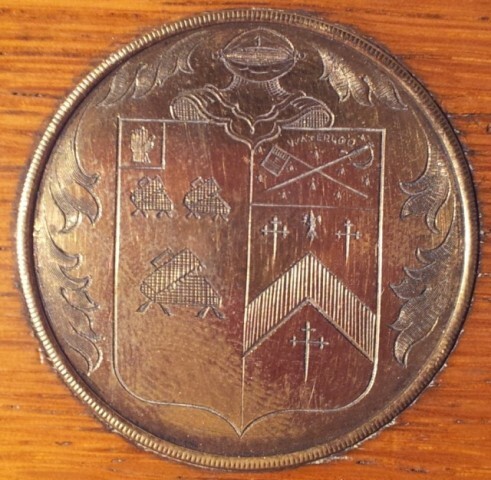 Being a bit pushed for time I added a post & link at the Heraldry Society of Scotland’s forum. In about 30 minutes flat the dexter Arms were identified by Arthur Radburn as those of Hampson. 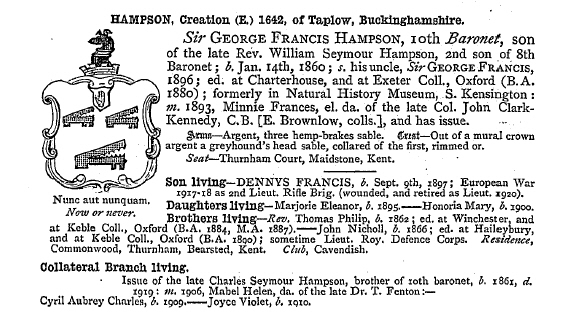 A bit more delving revealed that Sir George Francis Hampson, 10th Baronet, married Minnie Frances Clark-Kennedy in 1893.